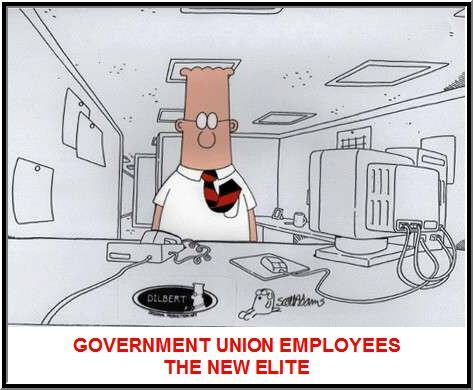 The current administration continues to elevate government workers into an elite class of individuals that are above the private sector working class. The following is for private sector workers, I’ll get to the public employees in a minute. According to this Forbes magazine article, Obama Plans to Cut Student Loan Payments, the president’s plan would cap payments on federal loans at 10% of a borrower’s income above a set minimum…and allow loans to be forgiven after 20 years instead of 25. Any debt not paid off after 25 years is forgiven, although the government regards the forgiven balance as income for tax purposes. So in summary, for private sector workers, if you are still paying a student loan after 20 years, you can stop paying and the government will forgive the loan…but you are responsible to pay taxes on the amount you didn’t pay because it is considered income. If you can set aside for a moment the discussion on whether this plan is a good idea, why did Forbes not mention that government workers will have their loans forgiven in 10 years, not 20 and have zero tax liability on the unpaid portion until the very last paragraph of the article? So I have two concerns to address in today’s post. First, why do government workers, yet again, get a special deal from the government so they can stop paying student loans in half the time and without any taxes, compared to private sector workers, which we then have to pay for? I suppose if your plan was to expand government as much as possible, these are the kinds of incentives you would offer people. Second, why do I have to keep going to the end of these articles to find this information out? Why are the articles purposely hiding these details?